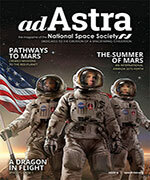 NSS Legislative Alert: Private Property Rights in Space in Serious Jeopardy due to the Law of the Sea Treaty (LoST)! Please stop the Senate from ratifying the Law of the Sea Treaty (LoST). The “Common Heritage of Mankind” language in the treaty and numerous provisions therein will not only make practical development of vast resources on Earth extremely difficult, but it can set precedent that would render the even grander resources of outer-space impossible to develop. This treaty is an attack on property rights and the sovereignty of the United States. Vote NO on LoST! The National Space Society believes that the United States should reject the United Nations Convention on the Law of the Sea, also known as the Law of the Sea Treaty (LoST). We believe that the Senate should not ratify LoST because it subjects the U.S. and other nations to unnecessary and counterproductive international authority; sets a bad precedent for signing other, more restrictive “common heritage of mankind” treaties; inhibits the future development of space resources; and is in fact unnecessary since the U.S. already complies with the portions of the Treaty that do NOT inhibit resource development. Ratification would set a bad precedent for the future development and settlement of outer space. The L5 Society, one of the founding organizations of NSS, fought successfully against the Moon Treaty, another “common heritage” treaty that is based on LoST. If the U.S. signed LoST, it would face increasing pressure to sign the Moon Treaty, which explicitly prohibits private development of resources from the unexplored reaches of our world and solar system. We believe private development is the best way for the resources of Earth or space to be used to improve human life everywhere. Part XI establishes an international bureaucracy with the power to approve, oversee, transfer technology from, and tax private enterprises that explore the open seas to an unprecedented and unnecessary degree. We believe the nations of the world should be free to establish their own footholds in space in cooperation with other nations without being subject to approval by an international authority. Resources that are ultimately necessary to the future health of our civilization will be subject to, as well as confiscated and redistributed by, the UN, an organization with a long history of acting against the best interest of the United States and a poor history of managing anything. The very future of our civilization will depend upon the resources and technologies gained by exploring new worlds. We should not restrict that future through short-sighted decisions today. Accepting the UN’s mandate on future resource development will mean a dimmer future for all—not just the United States. Free enterprise must be allowed to continue to expand, on this world and others for the sake of our global civilization. As a major international partner, the U.S. already complies with most provisions of the LoST convention and recognizes other nations’ rights under the Treaty. However, if the U.S. signs the Treaty, we also must accept Part XI, which is directly detrimental to U.S. interests with no advantage to us. NSS does not believe the U.S. should accept a Treaty that offers no benefit from signing it, especially if we are already enjoying its benefits and obeying its provisions without being a signatory. LoST is an all-or-nothing treaty; if the U.S. signs it, we must accept all of it, even Part XI, which will set the stage for preventing human access to the resources of the seabed and, eventually, space. We believe the resources of this world and others should be explored and developed by free people, not subjected to an international bureaucracy. Therefore, NSS urges the Senate and the President to renegotiate LoST or to continue complying with all of it except Part XI. What should you say when you call the members of the Senate? LoST still treats the resources of the sea beds as the “common heritage of mankind.” The “common heritage” clause equates to developing nations having a preponderant say, share, and veto power over the ability of United States citizens and companies to develop the resources of the seas or space. The international centralized economy of the International Seabed Authority (ISA) remains an inefficient and ineffective means of exploiting the world’s unclaimed seabeds. Private individuals or companies are less likely to develop ocean or space resources if they know that an unelected, unaccountable international organization or a developing nation could seize their profits or technologies at its convenience. 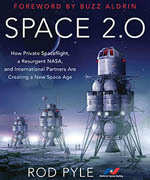 LoST, like its offspring the Moon Treaty, creates strong disincentives for private individuals to develop these new resources, however beneficial their eventual exploitation may be to humanity as a whole. By making the resources of the Earth or space as the common heritage of mankind, we ensure that there will be NO heritage. Nations that sponsor seabed mining companies are financially liable for damages caused by their citizens. This discourages development, as developed nations are often unwilling to pay for damages of this sort. “Pioneer” individuals or companies must provide two sites for development—one for the pioneer and one for the ISA to develop or hand over to a developing nation. The Treaty still favors state-run or state-sponsored enterprises rather than individual, private, or public corporations. For more background information, see the NSS White Paper: Rejecting the Law of the Sea Treaty (LoST). After contacting your senator or congressperson, email the results of your conversation to Greg Allison (email closed) or Bart Leahy (email closed) so the NSS Policy Committee can track Congress’s position on a particular bill or issue. Thank you for getting involved and supporting NSS!